The Groups envisaged here are very different. 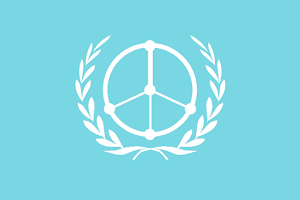 Their members would share a new philosophy, a philosophy of the love of life, its manifestations in human relations, politics, art, social organization. What would be characteristic of them is that none of these areas of human activities is isolated from each other, but each aspect gets its meaning by being related to all others. …They should become a real home for every participant, a home where he finds nourishment in the sense of knowledge and of interpersonal sharing and, at the same time, where he has a chance to give. 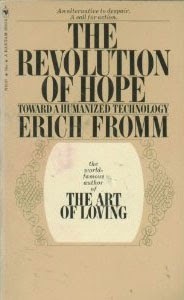 Their aim would be to move toward a personal transformation from an alienated person into one of active participation. Naturally, the Groups would be critical of the conduct of life as the alienated society offers it, but they would try to find an optimum of personal non-alienation rather than the solace of constant indignation as a substitute for being alive. The Groups would develop a new style of life, unsentimental, realistic, honest, courageous, and active. It must be stressed that realistic unsentimentality – bordering, if you like, on cynicism – needs to be united with deep faith and hope. Usually the two are disconnected. People of faith and hope are often unrealistic, and the realists have little faith or hope. We shall find a way out of the present situation only if realism and faith become blended again as they were in some of the great teachers of mankind.